A symphony in green! 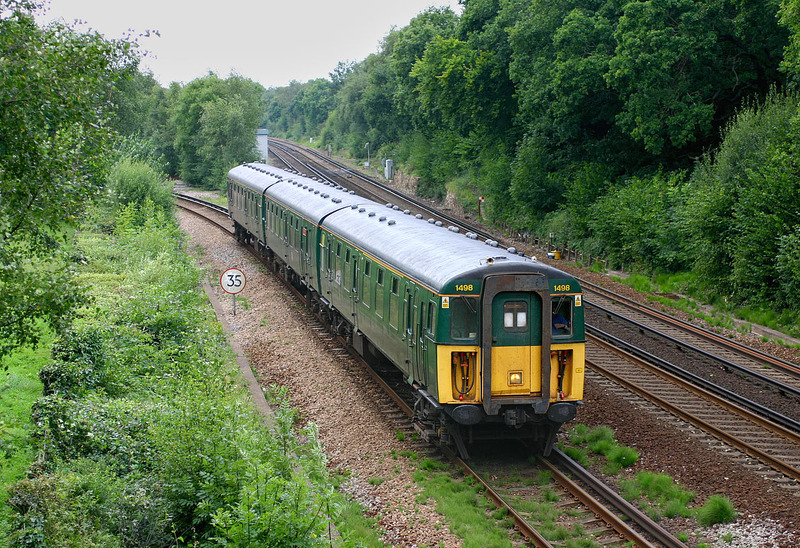 Class 421 3-CIG unit 1498 Farringford was one of the last two slam door third rail electric units operating on the national network. Along with classmate 1497 (which was painted in corporate blue & grey livery) it spent all its time shuttling up and down the short Lymington Branch. It is seen here at Lymington Junction on 22 August 2007 with the 11:14 Lymington Pier to Brockenhurst South West Trains service.